Chores. They can be frustrating, time-consuming, difficult and tiring. Laundry can be specially stressful because there is so very much that can go wrong, too! Many of us learned how to do laundry from our parents, a roommate, a significant other or on the instructions of a new washing machine. But many other people never learn how to do laundry and some adopt bad habits over time. Most never stop to ask themselves “am I doing it right? Is this the best laundry detergent for these types of clothes? Should I just tumble dry these or should I use the highest heat setting?” Maybe it’s time we ask ourselves those questions! Nope, we’re not talking about a techy dystopian future. Just your regular washing machine and dryer. Knowing how they work will not just make your job easier, but help you extend your clothes lives. Even though washing machines vary greatly between brands and even models, there are three core settings that you may see on dials or on a digital display: cycle length, cycle speed, and water temperature. This is true for both front-loading and top-loading washing machines. The cycle length is, obviously, the length of time your washer is going to spend tumbling your clothes around. Choose a shorter time for less dirty clothes and a longer time for dirtier clothes. Always try to maintain that cycle length as short as possible, though. Longer cycles can damage your clothes. Pro tip: use a gentle laundry detergent or laundry detergent pods if you want your clothes to come out clean but not suffer too much! Cycle speed is the speed at which your washer will...wash your laundry. Usually there are “regular”, “permanent press”, or “delicate” speed options. This affects both the wash cycles and spin cycles of your washer. The regular setting will mean that both of those will be fast (perfect for bulky items), the “permanent press” option will mean a fast wash cycle and slow spin cycle (ideal for the majority of your laundry), and the delicate will mean that both cycles will be slow. Pro tip #2: Never use too much laundry detergent (even if it is natural laundry detergent) since your clothes will not get “cleaner,” you will just be wasting precious detergent! Water temperature is, of course, the temperature of water when washing your clothes. Cold water can actually be used always. Warm or hot water is only recommended for whites or heavily soiled items (although these can also be washed in cold temperature). If you want to save on energy and money, use cold water always! It’s gentler on clothes, too. Pro tip #3: Use laundry detergent for baby clothes when washing your young ones garments or if you have any skin conditions. These laundry detergents are more gentle than the regular leading brand! When drying clothes, be sure to never over dry or use a heat setting too high for your clothes. Always watch the labels on clothing items, this will give you a clue about which setting you should use. Almost all dryers have a “regular”, a “permanent press”, a “delicate”, and a “tumble dry” setting. Regular is the hottest (should only be used for heavy items like jeans and towels), permanent press is the medium heat setting (this one is ideal for the majority of your laundry and will remove wrinkles! ), delicate is the low heat setting (ideal for...delicate garments), and tumble dry means that no heat is applied (perfect for very fine garments and clothing which is prone to shrinking). Pro tip #4: Not all laundry requires you to start your dryer. If you have the time, you can leave most of it to dry out in the open air. Even though jeans and towels can take a bit longer those items could also be air dried. Remember, his will help you save on energy costs! We’re used to separate our laundry based on color (bright colors, dark colors, etc). However, if you decide to wash most of your laundry in cold water...well that is not really needed anymore. 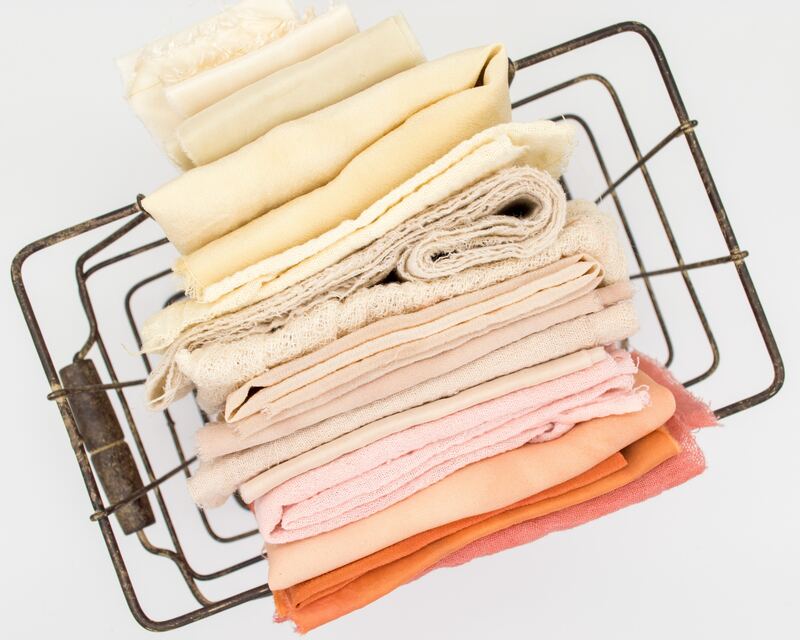 You’ll want to separate your clothes based on fabric type. For example, if you have gym clothes, towels, and fleece shirts that are all dark blue or dark red, washing them together will just damage all of those fabrics, since each require different cycles and drying times. The lint of fleece and towels would just stick to the stretch fabrics in gym clothes. Pro tip #5: Remember that you could handwash some items, and some even require hand-washing! Don’t turn on your washing machine to wash a shirt and a bra! Just put a bit of laundry detergent in a bucket (either liquid or powder laundry detergent will work) fill it with tap water, add your garments, do some light agitation (imagine that you’re a very gentle washing machine! ), drain the soapy water from the bucket and rinse your garments. Done! Then just wring them with the help of a clean towel, and hang them to dry or throw them in the dryer. Sort your laundry based on fabric type, read all the labels, choose the best laundry detergent (we recommend fragrance-free laundry pods), and then start washing. Taking all of this into account when starting this chore will shorten laundry times, save on energy, and help you extend your clothes’ lives.